Khadi India National Premier 2017: GM Lalith Babu is the new Indian Champion! 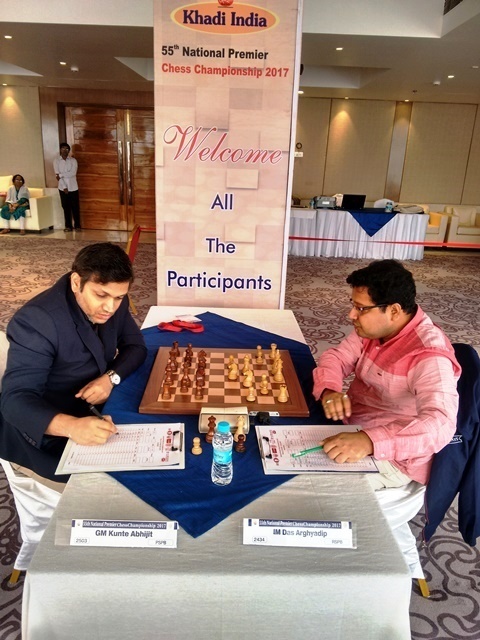 PSPB grandmaster Lalith Babu, scoring nine points, was crowned as the undisputed National Premier Chess Champion, thanks to Odisha’s grandmaster Debashis Das, who defeated the only other title seeker Aravindh Chithambaram of Tamil Nadu in the Khadi India National Premier Chess Championship, organised by All Bihar Chess Association at Lemon Tree Hotel, Patna today. 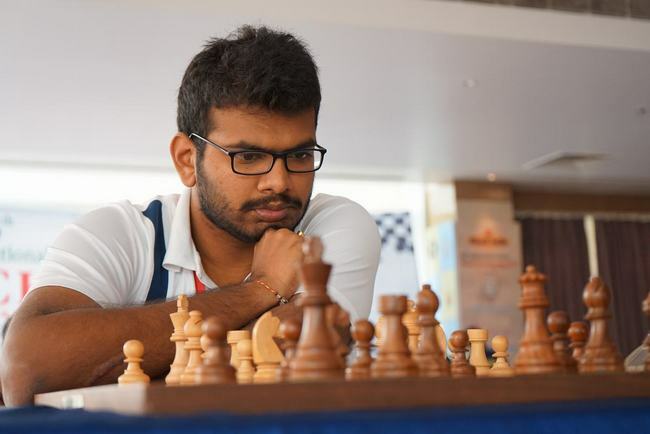 Irrespective of the loss, Aravindh scored 8.5 points to remain status quo in ranking – the runner-up spot he secured by losing the final round to RR Laxman in 2016. Defending champion Karthikeyan could muster only the third position with 7.5 points. 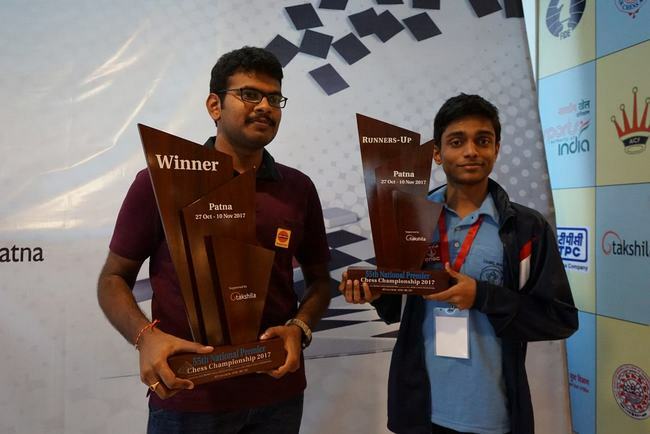 Debashis and SL Narayanan of Kerala were placed fourth and fifth with the same number of points. 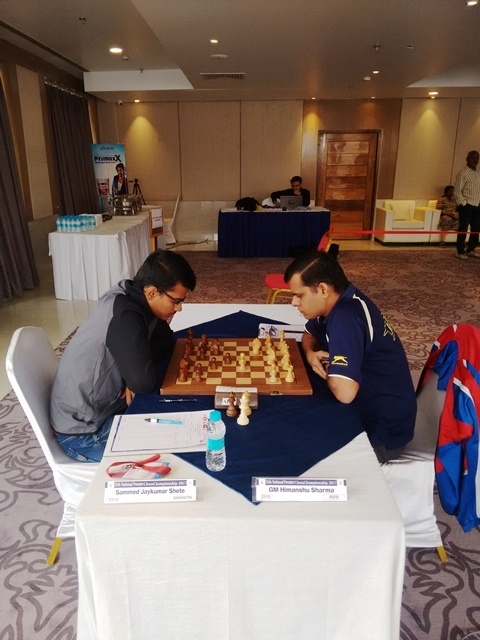 The splendid performance of Railways international master Arghyadip Das took a back seat in the final round when he lost to former national champion Abhijit Kunte of PSPB. After castling on the queenside, Arghyadip gave up his bishop for a compensation of three pawns. His another knight sacrifice was unwarranted and Abhijit won in a relaxed manner with plenty of pieces in his kitty. 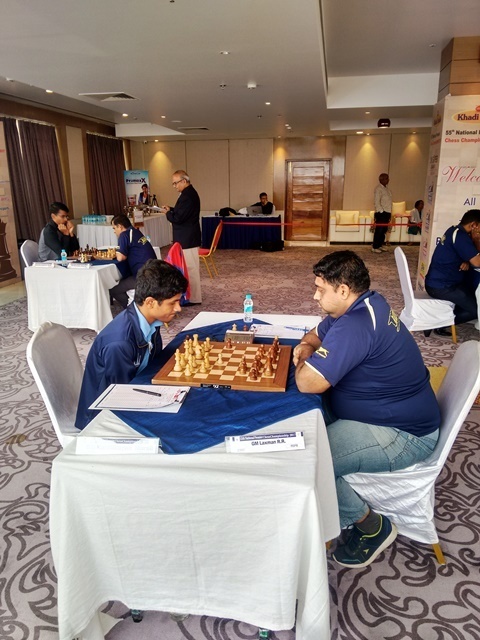 SL Narayanan of Kerala got the better of S Nitin of Railways in the Rubinstein variation of four knights game in 55 moves. Until move 41, the game predicted a draw. The course of the game changed, once Narayanan combined his queen and knight to make an assault on Nitin’s king. Failing to safeguard his knight and king, Nitin resigned. 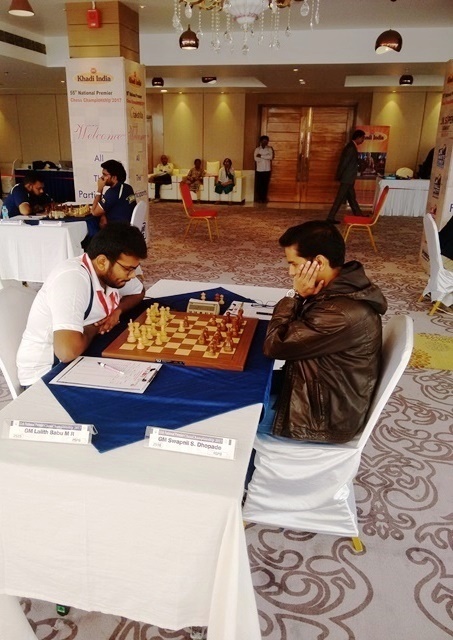 In the clash between the tail-enders GM Himanshu Sharma of Railways and Sammed Shete of Maharashtra, Himanshu brought a halt to his dry spell, with a long-awaited first win in the tournament. In the Fianchetto variation of Grunfeld defence, Himanshu was in his elements during a series of exchanges in the middle game, finally fetching him an extra minor piece. Sammed resigned on the 47th move. 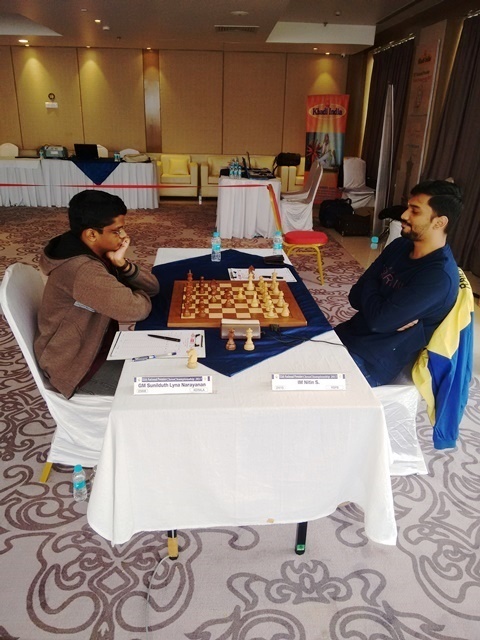 Defending champion Karthikeyan Murali of Tamil Nadu underperformed in the second half of the tournament and the final round was no exception. 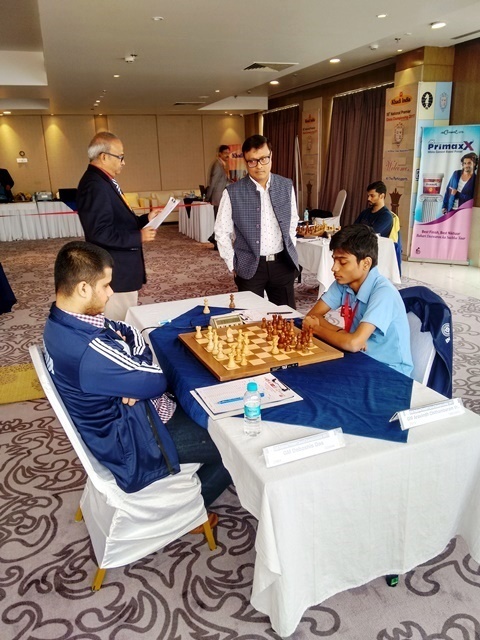 He conceded a draw to the national blitz champion RR Laxman of Railways in a Reti opening game in mere 30 moves, without any fight. 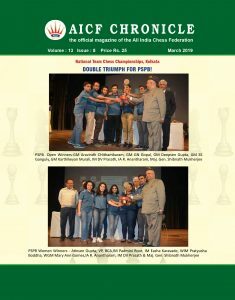 In an English opening, Railways teammates International master P. Shyaamnikhil and GM Deepan Chakkravarthy quickly settled for a draw in 26 moves. Though White had a slightly better position, Shyaam could not convert it to a winning advantage.